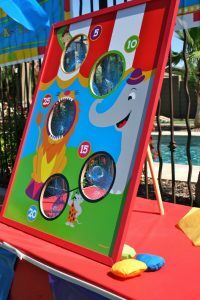 Beanbag throwing game for children – aim for the highest points with this circus themed target game. 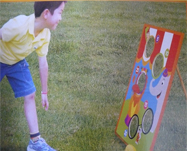 Wooden target stand (39cm x 52cm) supplied with small fabric beanbags. Suitable for small children – Table or floor standing.